Princess Party Performer Portland Sarah A. Performer Sarah A. is a student at George Fox University and is currently pursuing a theatre degree with focuses in acting and directing. She lives in Mulino, Oregon and when she isn’t in school or working she can be found painting, singing at odd hours of the night, and re-reading her favorite book Peter Pan. The love of princesses started early and it showed itself in her acting endeavors. 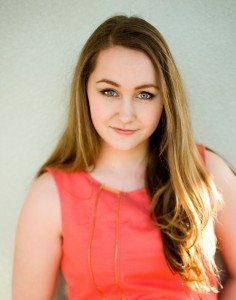 She has been pursuing her love of theater and public performance by acting in multiple theater companies, participating in competitive speech and debate at a national level, and (her personal favorite) by working with children on performance skills in her public speaking classes and by directing shows for local kids. Sarah is overjoyed to be a part of the Amazing Fairytale Parties family and would love to see you at your next magical party!